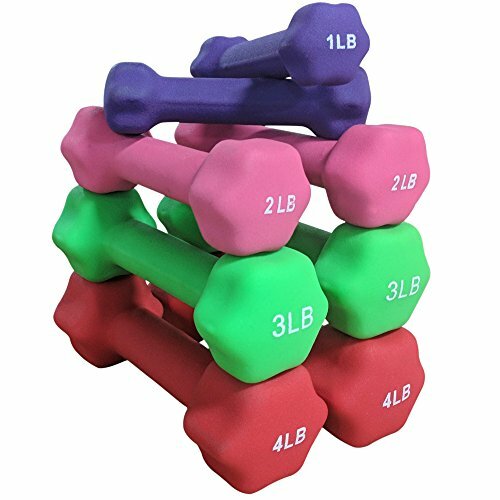 Add these lightweight neoprene dumbbells to your arsenal for resistance training, toning muscles, adding difficulty to everyday tasks, and ultimately building a better you! Sold in sets of (1-4 LB) (5-7 LB) and (8-10 LB), pick and choose what weights work best for your routine and add heavier sets as you progress! - Comes in pairs of 1 LB, 2 LB, 3 LB, and 4 LB. Other sets available up to 10 LB. - 1 LB, 2 LB, 3 LB, and 4 LB set. Comes in pairs of 1 LB, 2 LB, 3 LB, and 4 LB. Other sets available up to 10 LB.